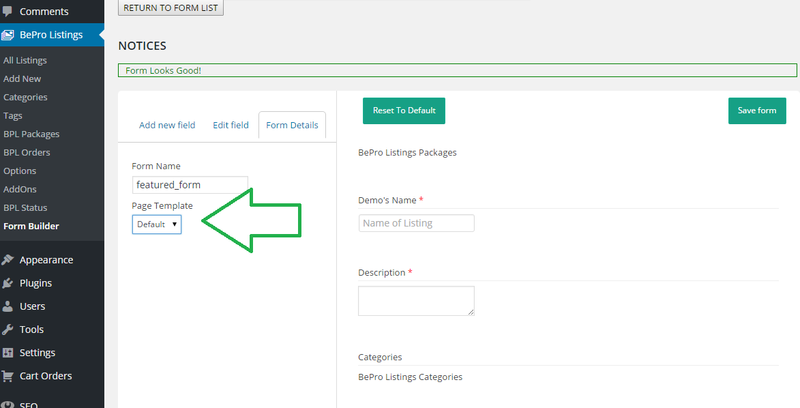 Since BePro Listings Form Builder version 1.0.398, you can select a page template for each form. This page template refers to the details page for listings. So your business directory listings can look completely different to your real estate listings. Finally, the details page for listings are now dynamic. Have listings captured by your real estate form, actually look like a real estate page. Then have listings captured by your staff form, look like a staff page.